This Video contains images of my photo reportage at the Maskerade 2011. 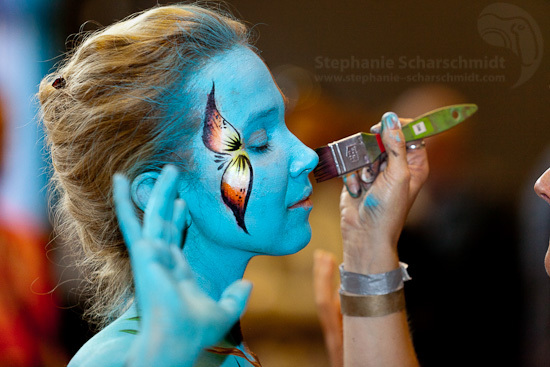 During this international body-painting contest the best body painters of Europe compete. The contest takes place in Venlo (the Netherlands). In 2011 the topic had been Memory’s. Enjoy watching how the body painters create their Art. Dieses Video zeigt einige Bilder aus meiner Fotoreportage von der Maskerade 2011. Bei dieser internationalen Bodypainting Meisterschaft in Venlo (Niederlande), treffen die besten Bodypainter aus ganz Europa zusammen. Die Kunstwerke entstanden unter dem Thema „Erinnerungen“. 11.10.2009 This video shows photos taken by me at an international body-painting contest, the theme of the contest had been “typical Netherlands”.